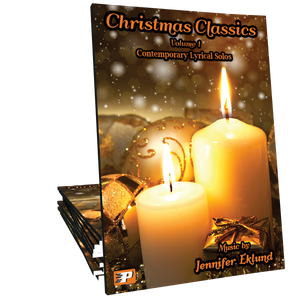 Christmas Classics Volume 2 is a collection of traditional holiday classics arranged in a contemporary lyrical style ideal for intermediates of all ages. Music composed by Jennifer Eklund. These are beautiful pieces that are the perfect sight reading material for me and nice pieces for teens! I played several pieces from this book at a Christmas open house and also at church and absolutely LOVE these arrangements!! As good as Volume 1!! This is my absolute favorite book! I don't have any students ready for this music yet, but I personally play it all the time. I love that the arrangements are easy enough to play well without much practice. I can easily pull them out at Christmas if I get asked to play a last-minute event. The most beautiful arrangements I ever heard. Volume 2 seems to be a little more difficult and takes more practice to play it proficiently. Worth every minute of practice. It is candy for the ears. Even practice is a prayer. Thank you Jennifer for letting me into your world. I gave both volumes as gifts for Christmas last year. This is my FAVORITE Christmas book not only for my students, but I love playing from it myself! The arrangements are so beautiful. They always get a compliment when played. Well done!!! I bought this book for one of my adult students who is loving it... and I loved it so much I had to buy it for myself! Fun arrangements! I bought this book for myself and really enjoy playing from it. The arrangements are very beautiful, with a lovely sound. After a student purchsed this book, I had to have a copy for myself. I love these arrangements! One of the best collections of intermediate Christmas music I have found! The pieces are classic, but with a slight modern element. Love the syncopation, and tempo changes which bring some original elements to old favorites, while still staying true to the essence of each of the pieces. These are a joy to play and delightful to hear! 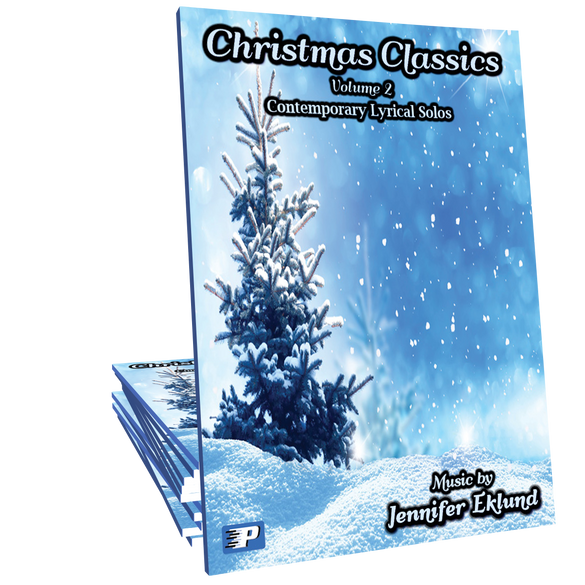 Lovely arrangements to all the “New Age Christmas Classics – Vol. 2″!!! Bravo to the lush sounds and the way my fingers will work in these pieces!!! Never stop arranging music or writing your own as I look forward to playing them – Just wonderful – thanks so much! I have enjoyed listening the arrangements “We Wish You a Merry Christmas”, “O Holy Night”, “”Mellow” Jingle Bells”, “Silent Night”; were intrigued by “Coventry Carol”, “Angel We Have Heart on High”. As the dedicated parent, can not wait to help my child learn the “Silent Night”, Medley, Deck the Halls/One Thousand Christmas Lights”; as the beginning piano teacher, love all the arrangements of those famous Christmas songs, can not wait to inspire my intermediate students; will talk to parents who right now looking to choose the Christmas tune for their children. Thanks. Good Luck! I had two separate students play selections from this book this past season. My high school student loved your arrangement of Oh Come All Ye Faithful. As she said “it’s so interesting that I don’t get bored with it like I do with some Christmas songs.”. As a teacher those are happy words to hear! Beautiful arrangements of Christmas songs! Patterns that students can easily pick up on and enjoyable to listen to. 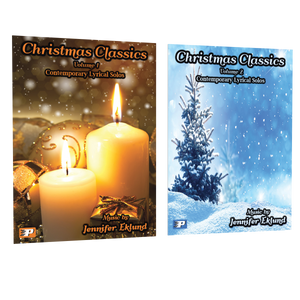 Will there be a Christmas Classics Volume 3? I am a teacher, but I bought this book for myself and LOVE it!